We are a family owned & operated business with over 25 years experience in the flooring industry with a desirable reputation built around great value & service. Whether you require domestic, commercial or industrial flooring our professional team will be on hand to help you meet your requirements. We offer Value for Money, a Free Measure & Quotation Service and we promise our no nonsense priced quotations will be free from hidden extra's. We also have a highly skilled team of dedicated professional fitters and are confident you will be completely satisfied with the service from selection through to fitting. Our Showroom with ample FREE customer parking is located opposite Lidls Supermarket (off Goldsworthy Way), in the heart of the bustling market town of Wadebridge, North Cornwall. In store you can view an extensive range of leading European Manufacturer's and Industry brand leaders in the flooring industry. 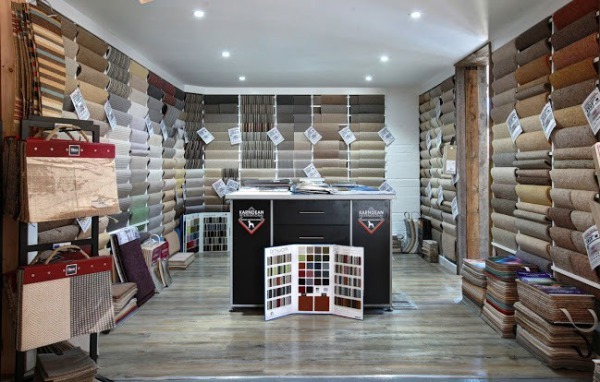 Our range includes: Wool & Stain Resistant Carpets, Axminster & Wilton Carpets, Vinyl Flooring, Laminates & Wood Flooring, Karndean & LVT Flooring, Carpet Tiles & Safety Flooring. Along with a selection of stocked rolls in carpets & vinyls we have flooring to cover all requirements and budgets. The Carpet Trader is great news for local landlords and renovators who are seeking value for money along with a professional and friendly service.